Lee, Richard C. (Richard Charles), 1916-2003. 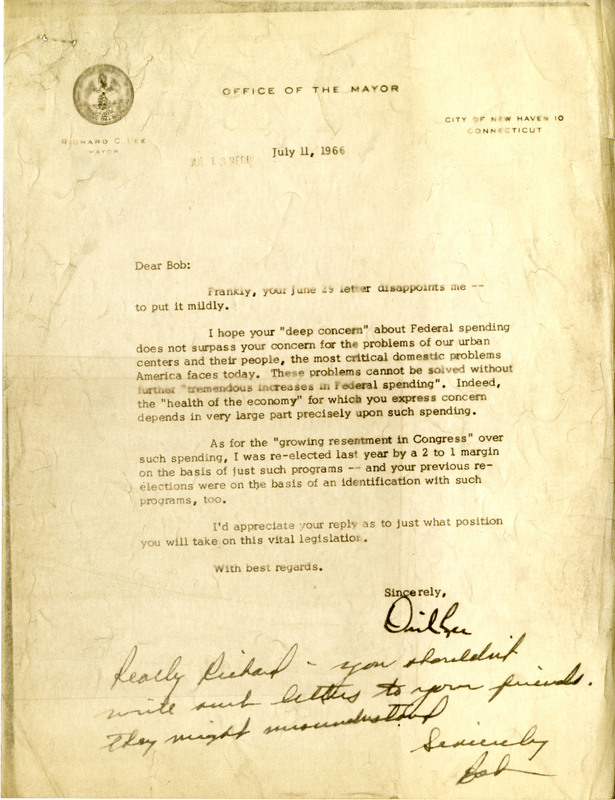 "Letter from Mayor Richard C. Lee to Congressman Robert Giaimo." Robert N. Giaimo Papers, Series IV: Committee Files, Appropriations Committee 1961-1968, HUD - General and Correspondence, Box 68, Thomas J. Dodd Research Center. Accessed 19 April 2019. http://acsc.lib.udel.edu/items/show/468.